If you're divorcing, you may have already accepted betrayal from your spouse. Your lawyer, on the other hand, is supposed to be the one person you can absolutely count on to be on your side. If you find yourself fighting your lawyer almost as much as your spouse, it may be time for a change. Should this happen, you can fire your lawyer and find a professional who has your best interests at heart. Once you've discussed all your personal information and embarked on a professional relationship with an attorney, it can be gut-wrenching to make a change mid case. It may be worth the trouble, however, if you feel your lawyer does not have the experience or skill to handle the complexities of your case. Sudden, high fees or a strategy that wasn't discussed or agreed to also can be legitimate reasons for termination. Unethical activity, such as divulging confidential information, is serious enough to warrant termination and a talk with your state's bar association. A simple personality conflict also can be a perfectly legitimate reason to end the relationship. When you sever your professional relationship with your attorney, he's required to follow your state bar association's rules of professional conduct in dealing with the termination. All states are slightly different, but generally, attorneys must allow you to fire them without argument, at any time during your representation. You don't have to give a reason for ending the relationship, and every state has requirements regarding how quickly your file must be provided to you. For example, in California your ex-lawyer has 10 days of a request made in writing to give you your file. The file cannot be withheld pending payment of charges to photocopy it, or pending payment in full for services rendered. Communicating the termination to your lawyer is just the beginning of the process. Regardless of how you feel about each other, he's still your "attorney of record" in the case and remains so, until he files a motion to withdrawal to leave the case, or until a substitution of counsel is filed. Filing requirements vary by state. A motion to withdrawal asks the court's permission for the attorney to no longer be the attorney of record in the case. This motion is filed when you haven't yet hired a substitute lawyer, but want your current lawyer off the case to prevent any further activity and fees on his part. The motion should state that the attorney wishes to withdrawal from the case, give a brief statement of explanation without divulging details that would disparage you in the eyes of the court, and list any upcoming filing deadlines or hearing appearances scheduled in the case. Because you don't yet have a substitute attorney, the judge has to agree to the withdrawal. Once the judge agrees, your attorney is released from the case as of the date of the order. A substitution of counsel is a document that states that the existing attorney of record is withdrawing and the case is being taken over by a specified new attorney. You, your existing attorney and the new attorney usually sign the substitution. The substitution is considered notice to the court rather than a request for permission, since your rights are protected by the immediate presence of new counsel. However, once it's filed, the court often issues an order acknowledging the change. You may decide to wait until an upcoming deadline or hearing has passed before you change attorneys, or at least ensure that a motion for continuance is filed with the withdrawal or substitution. Your case may suffer if an upcoming event in your case is too close in time for another attorney to adequately prepare, and the court may not grant a change of counsel too close to a deadline. How Can a Petitioner Drop a Divorce? If you file for divorce and later change your mind, you can ask the court to drop the case. The legal term for this action is "dismissing" your petition for divorce before it is finalized. The procedure for dismissal will depend on your state's laws as well as your spouse's response to the request. Since filing for divorce does not change your marital status, the effect of a dismissal is simply a removal of the case from the court's docket. Divorce can be frustrating and stressful enough, without the process bogging down due to an unresponsive opposing counsel. 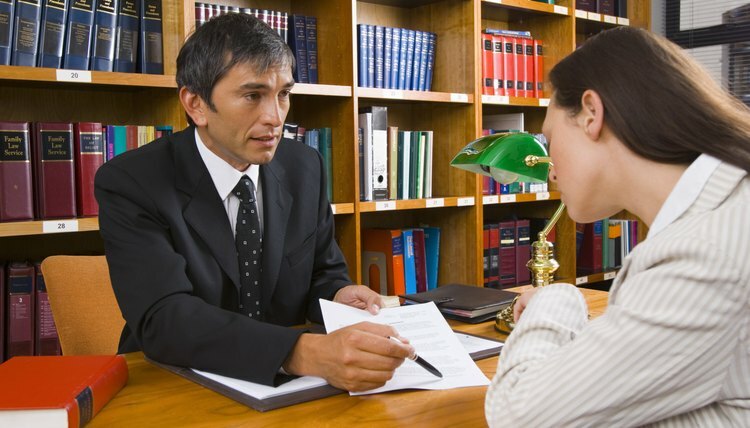 The court process for divorces is comprised of very specific stages. If your husband's attorney does not respond during any or all of these stages, your case stalls. If you don't have your own lawyer to force a response from his fellow lawyer, there are options that you can exercise yourself. Can They Garnish My Wages Once I Have Retained a Bankruptcy Attorney? Creditors may be able to garnish your wages by getting a court judgment against you when you don’t pay your debts on time. If you are facing garnishment, filing for bankruptcy might help. Once you file, your creditors cannot garnish your wages, and an attorney may be able to help you avoid garnishment even before you file. What Should You Do When a Divorce Lawyer Does Not Respond?